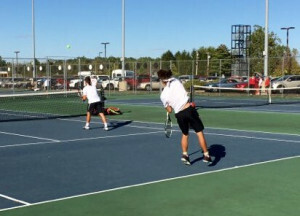 The New Palestine varsity tennis team secured a place in Friday’s sectional final at Mt. Vernon. The Dragons beat the Pendleton Heights Arabians 5-0 in Thursday’s semifinal. The Dragons will face Mt. Vernon in Friday’s 4:30 p.m. championship match. MV beat Greenfield-Central in Thursday’s other semifinal. NP No. 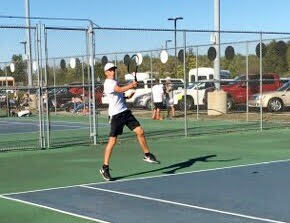 1 singles player Matthew True extended his record to 18-5 when he beat PH’s Drew Wilson 6-0, 6-2. True has been a pillar of strength for the NP team this year. Ben Blachly played at No. 2 singles for NP against Arabian Walker Stull. 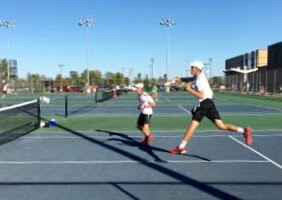 The Dragon displayed good defensive qualities to set up a 6-3, 6-3 victory. Blachly moved to 19-4 for the season. NP’s No. 3 singles player, Carson Gavin, won a hard fought 1st set against PH sophomore Kaleb Alumbaugh in a tiebreaker by 7-3. 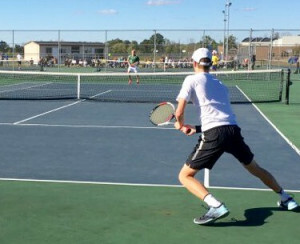 Gavin controlled the second set and pulled out a 7-6 (3), 6-1 win. Gavin improved his record to an outstanding 20-3. 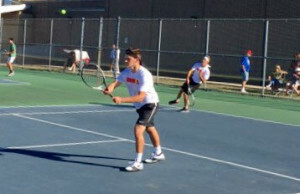 The Dragons doubles teams continued this season’s dominance against the Arabians. The NP No. 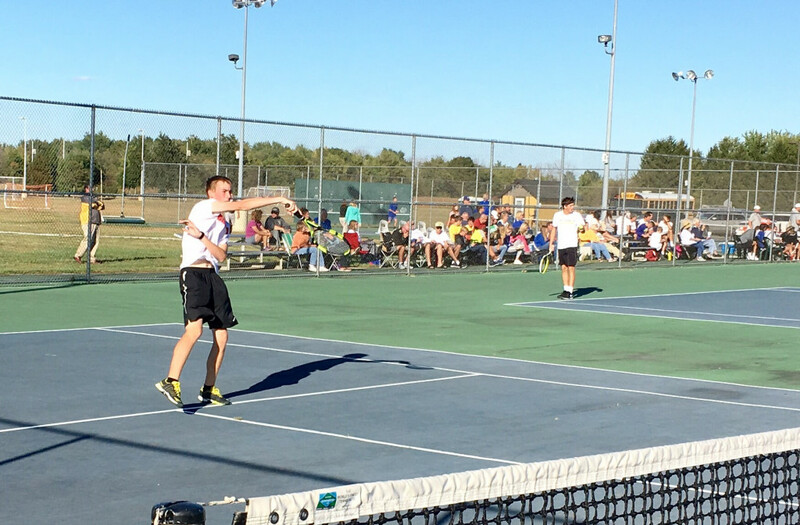 1 pairing of seniors Nick Rusche and Colby Wagoner easily beat Seth Moore and Jason McKinney 6-0, 6-0. The Dragons pair extended its record to 18-3. At No. 2 doubles for NP, senior David Hockett and junior Dane Reid beat Evan Smith and Caleb King 6-1, 6-0. Hockett extended his excellent record to 21-1.